If you’re looking to escape the cold weather this winter, consider joining us at the Florida Seabase Conference Center for a Seabadge Course hosted by Southern Region and Greater Tampa Bay Area Council. Seabadge is an adult leader training experience aimed at both current and prospective Sea Scout leaders. The goal is to help them learn how to run a successful Sea Scout ship. Part of the course is about how to help older youth accomplish planning, goal setting, communication and risk management. 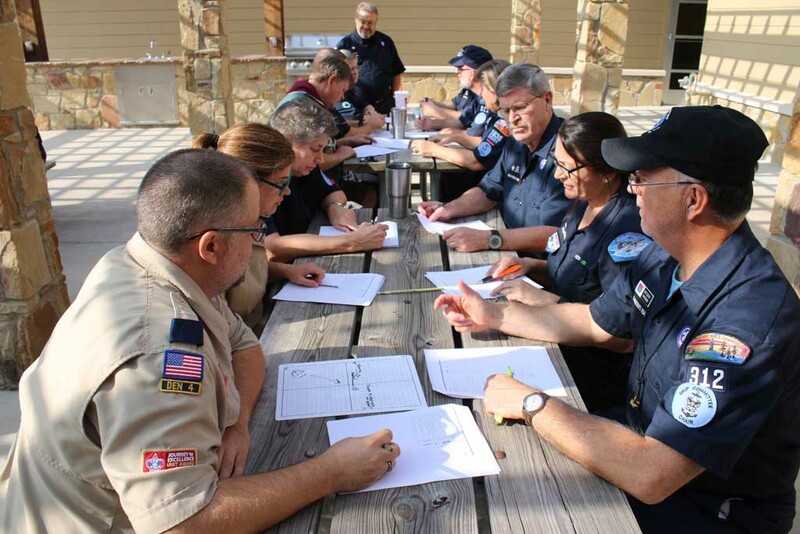 Part is about topics unique to Sea Scout ships such as how to decide whether or not a boat donation will work for your ship, how to most effectively work with the Coast Guard Auxiliary and the US Power Squadron, how to deal with youth protection on boats, how landship ceremonies work, and how to plan a long cruise. The most important part is the fellowship – spending a long weekend with lots of creative people with great ideas about Sea Scouts. There is no requirement to be a Sea Scout leader to attend – we welcome attendees from other branches of Scouting. If you are thinking about starting or joining a ship, this is a great place to come to learn more. You can register here. If you have questions, use the contact form at southern.seascout.org.